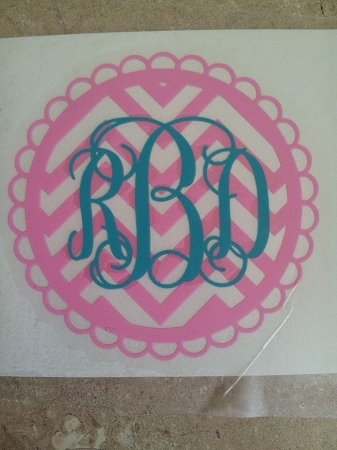 Super cute and stylish Chevron Vinyl Decal. Available in 2,3,4,or 5 Inch sizes and lots of colors! Quick ship item! TIP: These look best when the Monogram color is darker than the Chevron color.